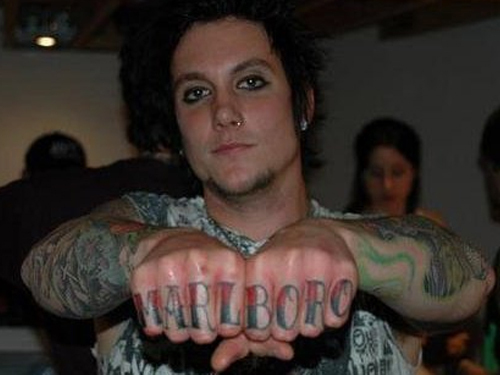 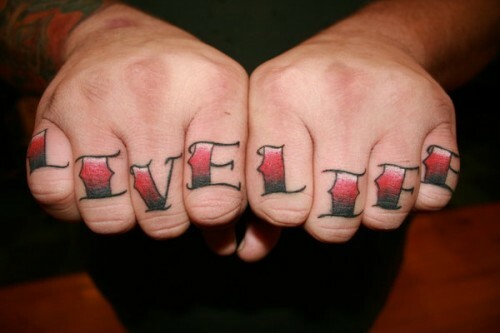 Knuckle tattoos are typically made up with one letter or symbol tattooed under each knuckle, and the thumb is almost always not used. 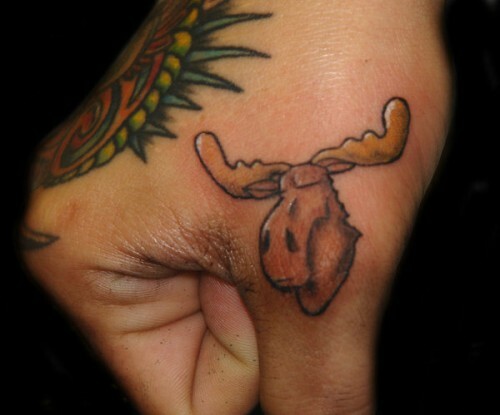 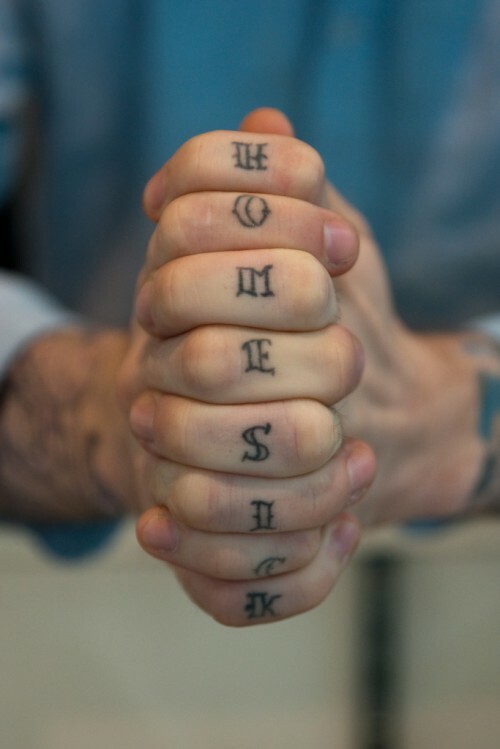 Knuckle tattoos say it all in very minimalistic yet impressive style. 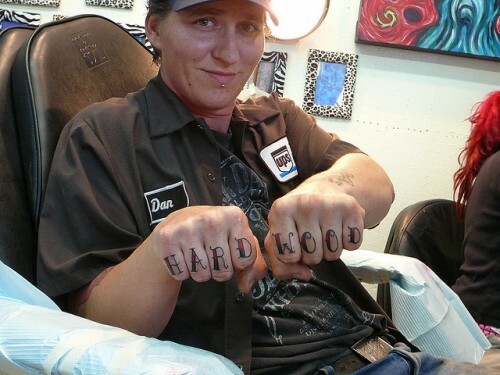 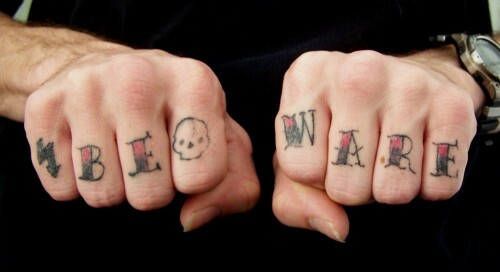 Knuckle tattoos can be carved on as many fingers as you want. 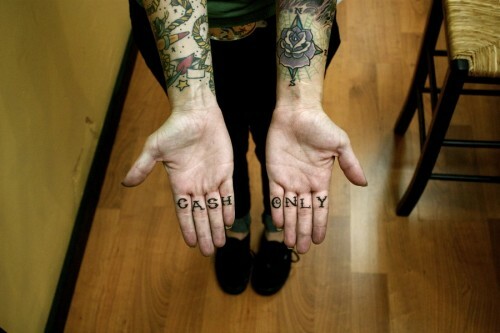 You can paint all the ten or just have your middle finger sporting the traditional art form. 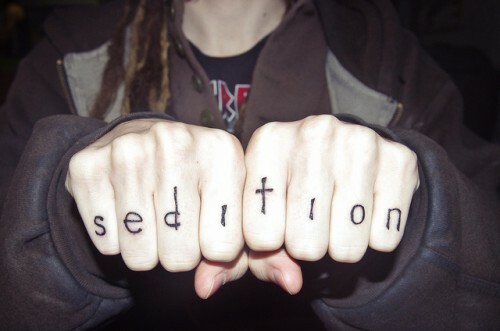 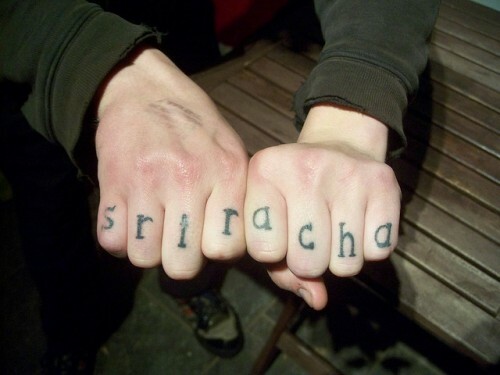 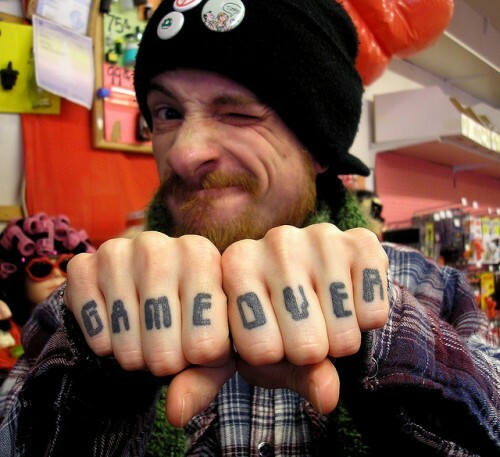 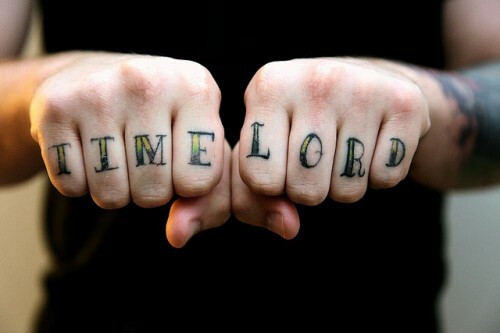 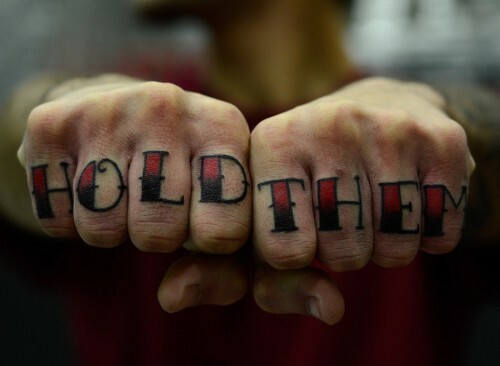 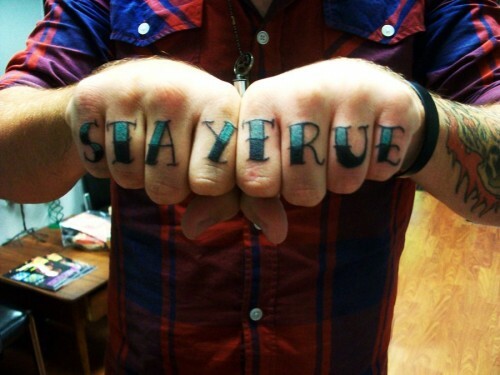 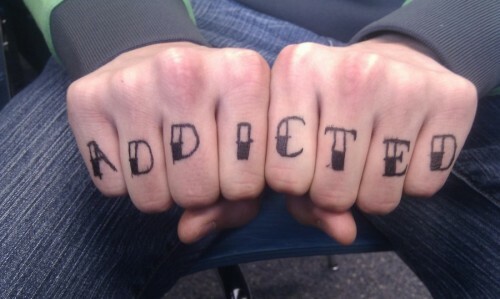 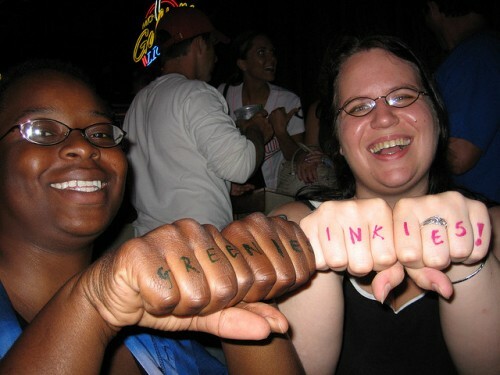 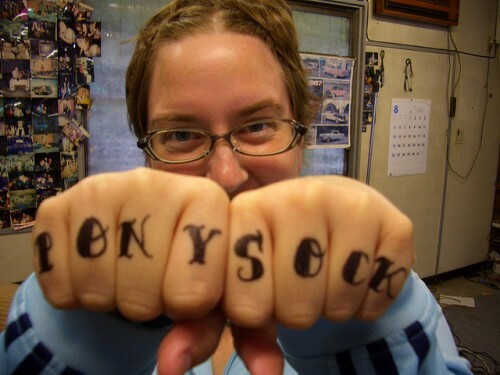 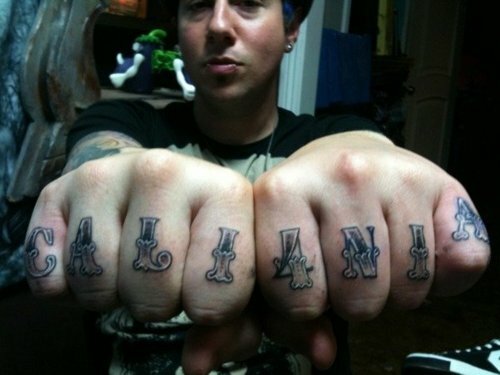 Mostly, people like to ink a verse or statement on their knuckles. 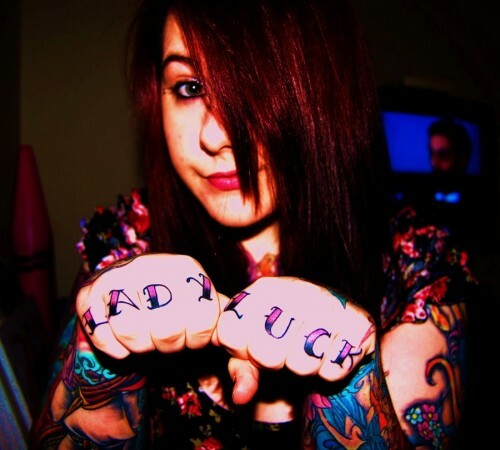 In this post I have compiled a list of wonderful knuckle tattoos ideas for your next tattoo art. 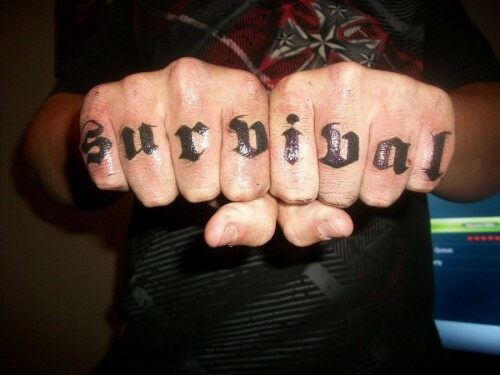 This collection of knuckle tattoos shows funny, stupid or weird inscriptions some people tattoo on their knuckles. 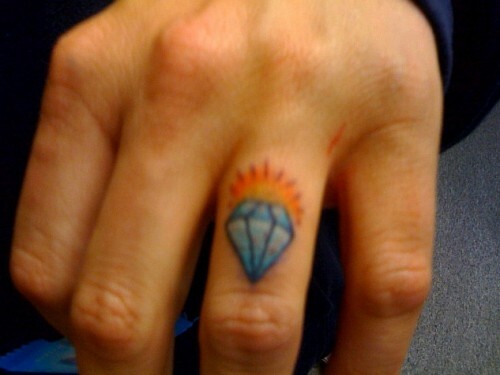 You may be interested in the following posts: sparrow tattoos, praying hands tattoos and single page websites.